The Detroit River is now a rather scenic part of Michigan’s plentiful wilderness, despite being one of the busiest stretches of water in the world, and flowing past the state’s largest city and primary manufacturing centre. The river has come a long way since its notoriously chequered past; volumes of industrial and urban pollution dumped in the waterway since the early 20th century had left it toxic and unsafe, but improved regulation and a cleanup effort mounted in recent years has made a dramatic difference in the river’s health. Downriver of the city of Detroit, where the river feeds into Lake Erie, the joint American-Canadian Detroit River Refuge has undergone a preservation campaign to maintain the areas in and around the river, including the numerous islands scattered throughout its waters. It now controls a 20km square swath of land at the mouth of the lake, but is aiming to add another 50 square km through an aggressive purchasing program. 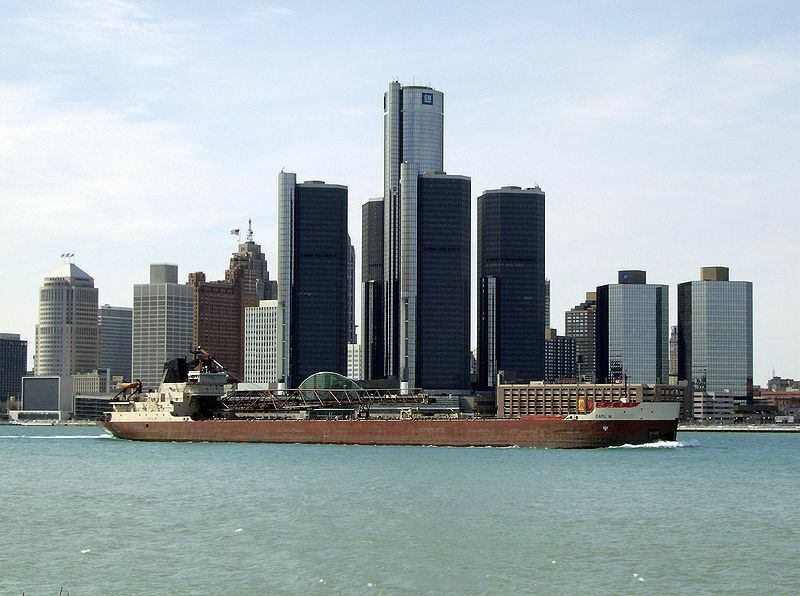 Eventually, the organization intends to have the entire length of river from Detroit down to Lake Erie under its protection. Most of the Refuge’s isles are small and uninhabited, but a few have interesting stories to tell; a couple of boulders peeking out of the water were once the 30-acre Mamajuda Island, virtually all of which was eroded and washed away – lighthouse included – by the 1950s. 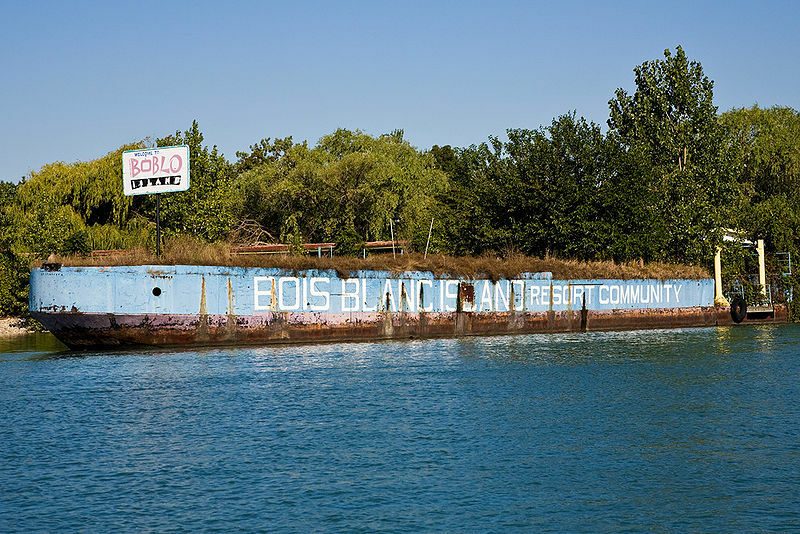 The larger Boblo Island was the site of many military adventures throughout the 18th and 19th centuries, including an invasion by 60 Canadians during the War of 1812, and currently hosts the spooky ruins of an amusement park that closed in the 1930’s. It was recently announced that the 30-acre Sugar Island has been added to the Refuge; it was purchased by the U.S. Fish and Wildlife Service from its Beverly Hills-based owner for the sum of US $434,100. This island has its own tales of a bygone era – much like Boblo Island, it was once home to an amusement park in the financial heydays of the early 19th century, where a steam ferry, the SS Tashmoo, famously sunk into the river after departing Sugar Island’s docks. Nothing much remains on the island now, although it is beloved as a picnic and boating spot by local residents. In fact, that is why the plans announced for Sugar Island have caused so much controversy. While the private owner didn’t seem to mind if people used the island for recreational purposes, the Fish and Wildlife Services have stated that it will be off-limits for most of the year. There is only one exception – during hunting season for waterfowl. “Hunting is a priority public use,” said Steve Dushane, assistant manager for the Refuge. The plan is to allow hunters use of the island during specific periods, while prohibiting other public uses.